Renault Megane Performance, Engine, Ride, Handling | What Car? 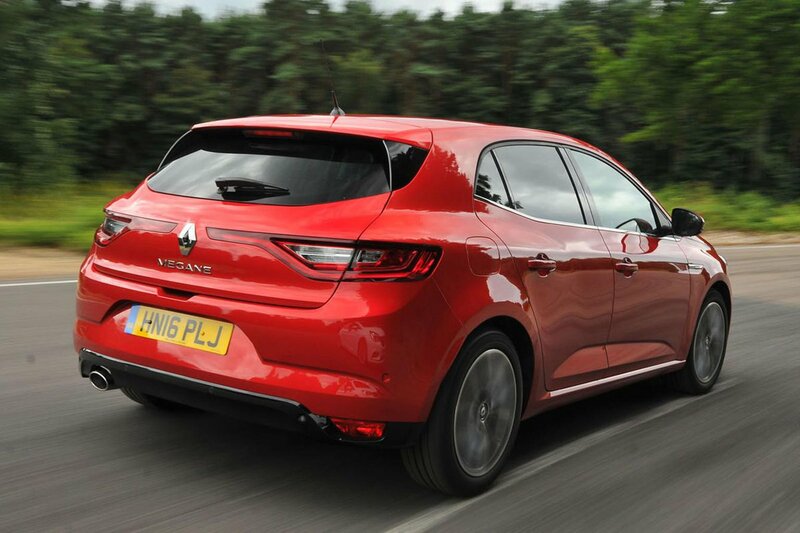 The new Megane is available with two petrol engines and two diesel engines. The entry-level 1.2-litre petrol is fine for town driving and shorter journeys but you need to work it quite hard for motorway trips, which makes it rather a noisy engine because you need to keep the revs up to make decent progress. The diesel engines suit it better for more robust use; although the 1.2 is the cheapest engine so could be a good choice for private buyers, but it’s not as efficient as some of its rivals. 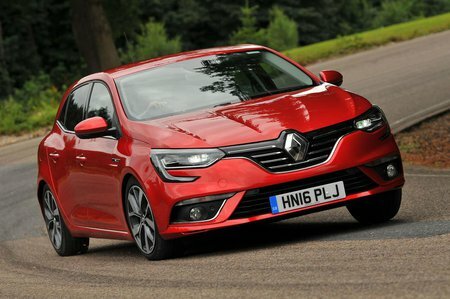 The 1.5-litre diesel engine has similar power to its rivals, but it feels slower in real-world driving compared to a Leon 1.6 TDI 110 or Astra 1.6 CDTi because the Megane weighs more. It still pulls solidly from 1500rpm, and gets you steadily to a 70mph motorway cruise. It sounds quiet, even when worked hard, but you do feel the engine’s vibrations buzzing through the pedals. The 1.6-litre diesel is a good fit for the Megane, offering flexible performance (without being quick) and relative refinement, plus it’s a smooth runner on motorway journeys. It isn’t the most refined diesel engine in this class, and you will still get a harsh engine note if you push it hard, but it has decent claimed fuel economy of 70.6mpg and low CO2 emissions of 104g/km for only a small premium over the 1.5-litre diesel. The range-topping 1.6-litre petrol goes in the GT Nav 205 trim only and comes with a seven-speed dual-clutch automatic gearbox. It’s a warm-hatch model designed to compete with cars such as the Ford Focus ST and Peugeot 308 GTI. However, on the road it feels a little flat, and is quite thrashy when revved hard. That auto ‘box changes slickly, but is occasionally hesitant when changing gear manually with the steering wheel paddles. Road and wind noise are well suppressed compared with rivals, though you can still hear a flutter of wind noise from the door mirrors at motorway speed. The six-speed manual gearbox, where fitted, isn’t very precise, and the brakes, while effective, have a long and vague pedal action. All models, other than the GT Nav 205, which has more grip and better body control, have a fairly soft suspension set-up. Consequently the Megane gets a little floaty on fast, undulating roads, but will waft over sleeping policemen or smaller potholes. On patchy town roads the ride can get a bit jiggly. The Megane’s softness allows more body roll through corners than rivals such as the Leon and Focus, and it’s not a car that feels at home being hustled. You can alter the steering’s weight with three different modes.